After just 49 days on the market, HP discontinued its TouchPad tablet yesterday, but it's possible that the company knew the device couldn't compete with the iPad a long time ago — and that, along with the Pre, its mediocre performance prevented the webOS team from improving the platform. According to a source "close to the subject," speaking to The Next Web, HP installed the webOS platform on the TouchPad's biggest rival — the iPad 2 — and it was "over twice as fast." What's more, because of the lackluster performance from both the TouchPad and the Pre smartphones, everyone in the webOS team "wanted them gone." The source claims that the webOS team was restricted by HP's hardware, and that it could not innovate beyond certain points because of the constraints presented by the existing webOS devices. On Apple's iPad, however, the platform was exceptionally faster than it is on the devices for which it was developed. The webOS team also installed the platform on the iPad as a web-app through the mobile Safari browser in iOS. Even through a web browser, the webOS platform was significantly quicker than on HP's devices, which is an indication of the TouchPad's ability compared to its rival. When HP announced its acquisition of Palm, the computing giant had already built the TouchPad hardware that sits on the shelves today. Basically, the TouchPad was a two-year old piece of hardware that the webOS team equipped with their tablet-friendly platform. Before announcing that it is to kill off its tablet and smartphones, HP had plans to release a 7-inch tablet called the TouchPad Go, according to the source, which was already in production. And the source did not rule out the possibility of the tablet hitting the market, which means there's a chance HP could still release the device. Though we think it's a probably a little too late for that now. We've also heard that HP in fact already had the next generation of TouchPad in the works. The details are very fuzzy here but we believe that it would be a lighter model with a higher-resolution 'retina' display and a metal body. Nothing out of the ordinary if HP truly wanted to make a splash with its next potential offering. 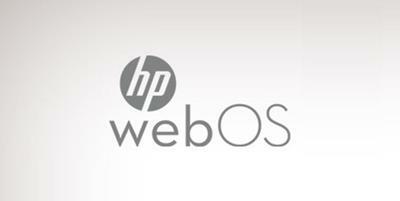 Now that HP has announced the death of its mobile hardware, the future of webOS looks uncertain. The company has stated that it will license the platform to other smartphone vendors, opening up the possibility of an acquisition from the likes of Samsung or HTC, who could use the platform for their own mobile devices. Following yesterday's news, it's likely the remaining TouchPad and Pre devices still on the market will receive whopping discounts in the hope that some of them are sold, but having heard a report like this, who would want one of HP's devices?